First Corps members are invited to gather at the Gettysburg Museum and Visitor Center for breakfast and travel by bus to the James Warfield House for a behind-the-scenes look at the work being done to return this structure to its Civil War era appearance with GETT Structures Preservation Branch Supervisor Johnny Holdsworth. 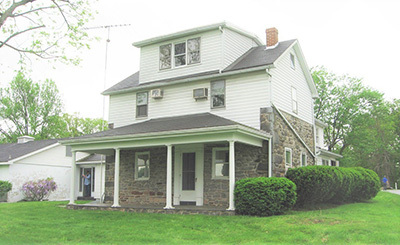 The Warfield House was acquired by the Gettysburg National Military Park in the 1970s and is one of two structures protected by the Park that were owned by free African-Americans during at the time of the battle. During the program, GETT Cultural Resources Program Manager Winona Peterson will provide a visual presentation that highlights the history of this house and its Civil War residents. This event will be held from 8:30 a.m. to 10:30 a.m.